We offer products and solutions for wide range of industries. With more than two decades of experience we have been able to develop unique fire-fighting solutions for many applications. These are some of the major and critical applications were our solutions are commonly used. Deluge water spray fixed systems for cooling of storage tanks, bullets, spheres, structures, and flammable liquid storage areas. These systems are designed as per NFPA 15. HD deluge valves offer reliable and robust solutions. Deluge valves can be operated by manual, hydraulic, pneumatic or electric trims. HD medium velocity nozzles come in a combination of k-factors and spray angles to offer effective spray pattern for cooling applications. 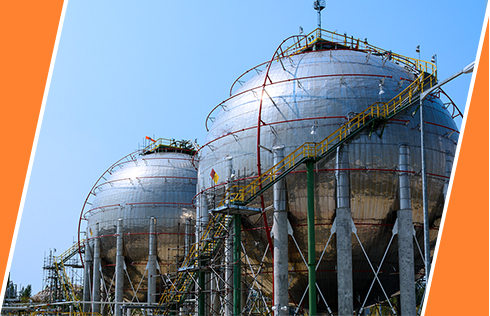 Fixed foam systems for open top floating and cone roof flammable liquid storage tanks. These systems are designed as per NFPA 11. HD foam chambers and rim seal foam pourers cover a wide range of flow rates and offer effective foam discharge solutions, making these ideal systems for storage tank applications. Foam bladder tank systems provide accurate, dependable, and cost-effective foam fire protection for a variety of flammable/combustible hazard areas, with no external power other than water pressure. Water is applied to the outside surface of the bladder, displacing foam the concentrate inside the bladder, which then is injected into the water stream. Foam-water sprinkler systems for flammable liquid storage and handling areas. These systems are designed as per NFPA 16. Foam sprinkler systems are more effective than a water-only system when evaluated for the same risk. They provide for actual extinguishment of the fire and a lower water demand. Custom engineered foam systems are ideal for foam proportioning applications for a range of foam discharge. Range of monitors is used in petrochemical storage and refineries. 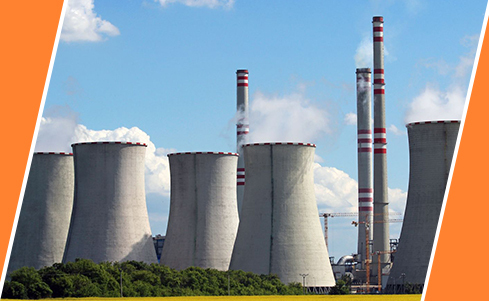 Power plants are characterized by their complex systems consisting of many high-risk areas and therefore reliable fire extinguishing systems are essential to ensure the safety in such places. Steam and gas turbo generators operating at high temperature and speed contain large quantities of lubricating oil and constitute to a major risk of fire. Deluge water spray systems are commonly used in the protection of such machines. Coal is transported on encased conveyor belts that run across coal processing stations. Fire detection and medium velocity automatic deluge water spray systems are most suitable for protection of coal conveyor belts. In certain risk areas, fire-fighting foams are added to deluge systems to reinforce the fire-suppression effect. High-velocity water spray nozzles for protection of fixed hazards such as transformers, circuit breakers, turbo alternators, lube oil systems, oil fired boilers, and similar hazards. Outdoor oil-filled transformers containing over 500 gallons of oil should be protected by automatic deluge water spray systems. Fixed water spray systems are designed as per NFPA 15. The automatic wet pipe fire sprinkler system is most common type of sprinkler system installed in buildings. Alarm valves act as check valves and to give an alarm in case of fire. The alarm is through water motor gong audible alarm bell or through a signal from pressure or flow switch. This applies to commercial buildings, hotels, meeting rooms, logistics areas and production buildings or warehouses. In case of fire, the sprinkler system is automatically activated during the initial phase, thus preventing the fire from spreading. Sprinkler systems are designed in accordance to NFPA 13. The pre-action system is used when it is required to have two triggers in order to start water flow through the sprinkler system. It greatly helps that the pre-action fire sprinkler can be set to prevent water from spouting in case of a false alarm or a mechanical failure. The pre-action system is good for use in places where the sprinklers are necessary in case of actual fire only so there is no water damage of any items in building due to inadvertent opening of sprinklers. 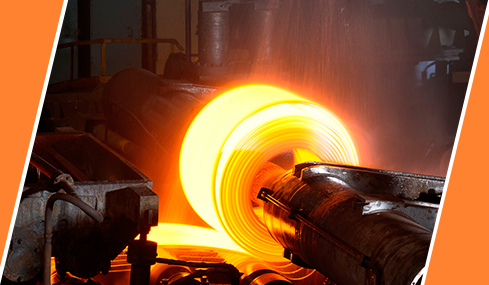 Iron and Steel production processes present a number of significant fire hazards. The heavy machinery required to process and transport materials are subject to some of the most extreme conditions possible. The fixed water and foam fire protection system is able to quickly extinguish or suppress the fire and protect the surroundings until relevant personnel have full control of the situation. In ports and docks there are many areas with potential medium and high risk hazards: fertilisers, biomass, wooden boxes, chemicals, flammable liquids, etc. Foam-water sprinkler systems are commonly used in these areas. Various portable foam discharge devices like mobile foam units, trailer mounted monitors are used in terminals. Fire hazards could be very serious in ships resulting in loss of lives and damage to cargo. We have certain products ranging from cast bronze monitors and aluminum bronze nozzles to nickel aluminum bronze deluge valves. There are robust, rugged and very dependable fire-fighting products suitable for marine environment. Aircrafts and planes are very expensive pieces of equipment. From a fire protection standpoint, the aircraft hangars are very critical. There is significant quantity of flammable liquid as well as potential risks present in that area. Foam-water deluge system, with supplementary protection like low-expansion foam discharge system using water powered oscillating monitors are used in aircraft hangars. Second option is a combination of automatic sprinkler protection and an automatic low-expansion foam system. Fire hazards could be serious in areas like paint booths, flammable liquid and paint storage areas, packing areas comprising of corrugated boxes, woods, boiler/switchgear/generator rooms, exhaust ducts, quench tanks, etc. 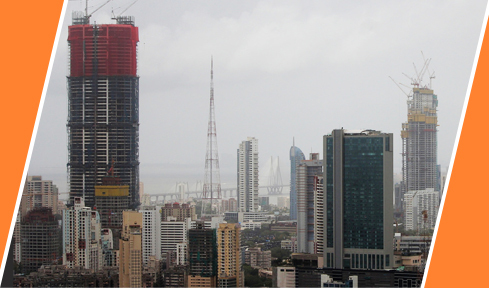 Fire detection and medium velocity water spray systems are used in many places. Foam-water sprinkler systems are commonly used in flammable liquid storage and handling areas. Custom engineered foam systems are used in special hazard areas. One such example was use of Varsha Nozzles for sound suppression application in ISRO rocket launch station. Our Varsha nozzles were used for excessive sound suppression during the GSLV Mark III launch. Acoustic sound suppression was developed by ISRO in order to suppress large decibel sound by attenuating noise using water quenching method. Selection of HD Varsha Nozzles was made to ensure that water jet from all ends meet at the definite points of launch pad. 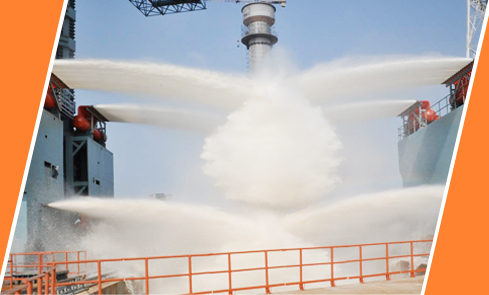 Extensive performance tests of Varsha nozzles were carried out in Jalgaon.